If you love to MAKE using cardboard, foam, PVC pipe, and junk, these are the classes for you! 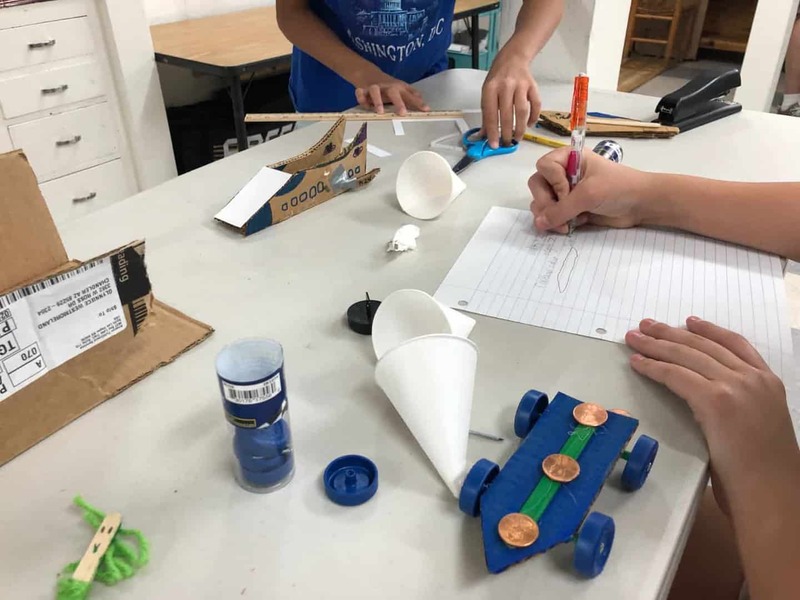 Learn all about the Engineering Design Process as you Ask, Imagine, Plan, Create, and Improve your projects. Study simple machines and put them to work for you. 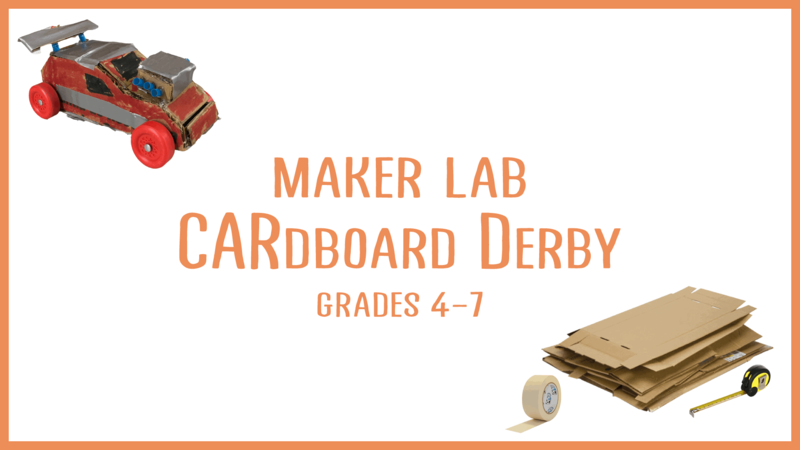 This week’s theme is CARdboard Derby! 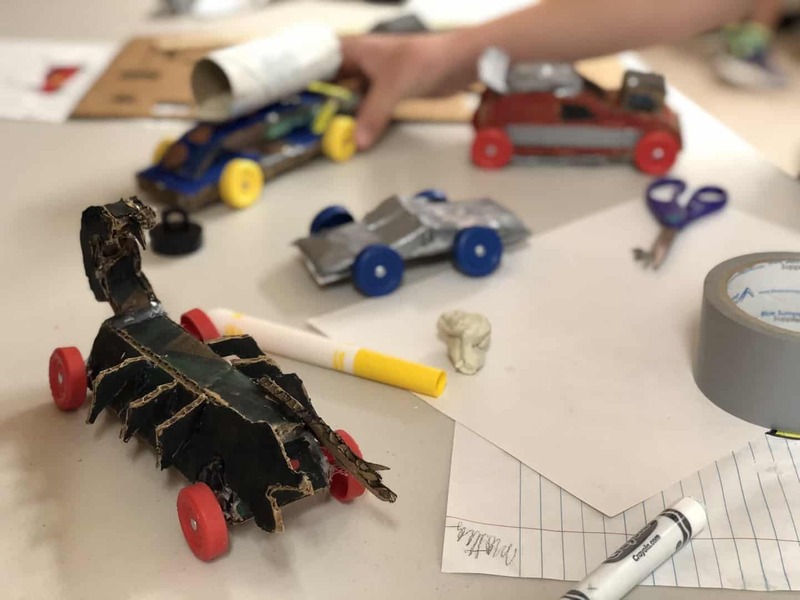 We have a Pinewood Derby racetrack and you will design and build your own derby cars!